A refashion and diy kind of blog. I work in retail and am in a department that is constantly immersed in pop culture. 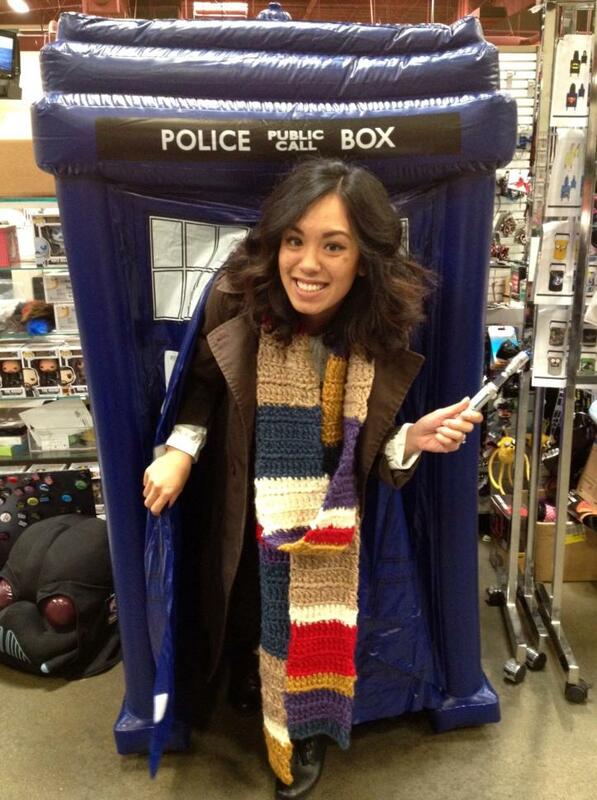 Basically, my department is full of nerds and we geek out together. Here is our group Halloween costume. 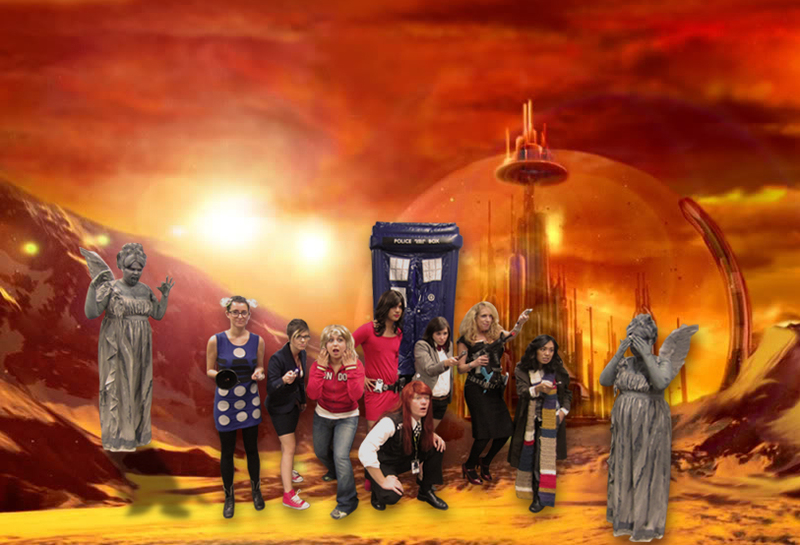 We’re on Gallifrey, and if you don’t know what that is, it’s ok.
From left to right: Steph the Weeping Angel, Rima the Dalek, Kelsey the 10th Doctor, Misty as Rose Tyler, Joe as Oswin Oswald, Ed as Amy Pond, Mallory the 11th Doctor, Cindy as River Song, (me!) 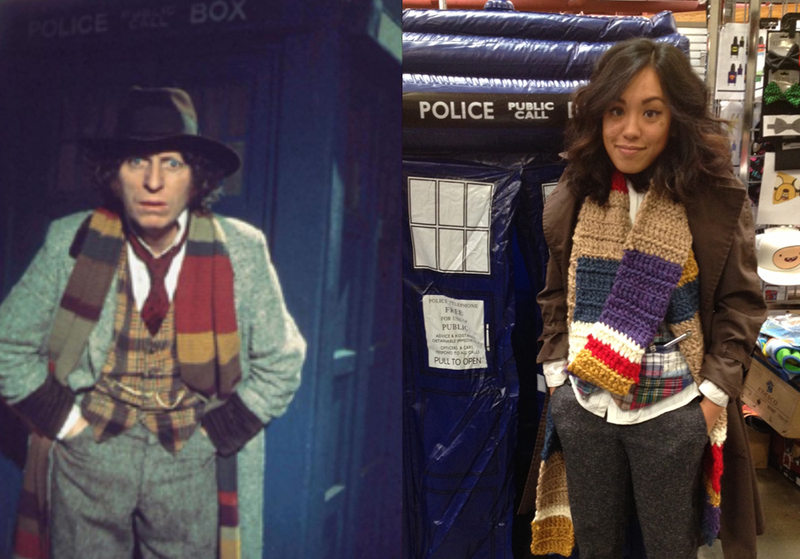 the 4th Doctor, and Steph (again). 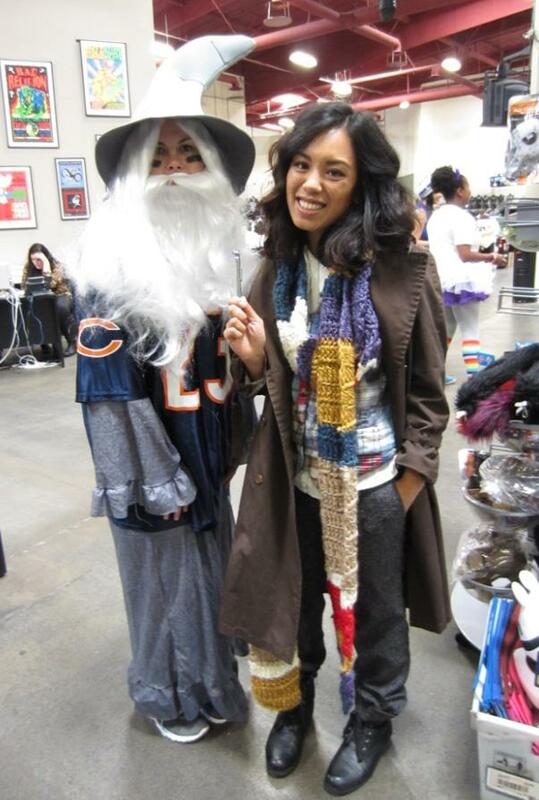 Here’s my completely thrifted costume, with the exception of the handmade scarf. It’s a good thing I got everything for so cheap, ’cause the yarn alone cost me $30! 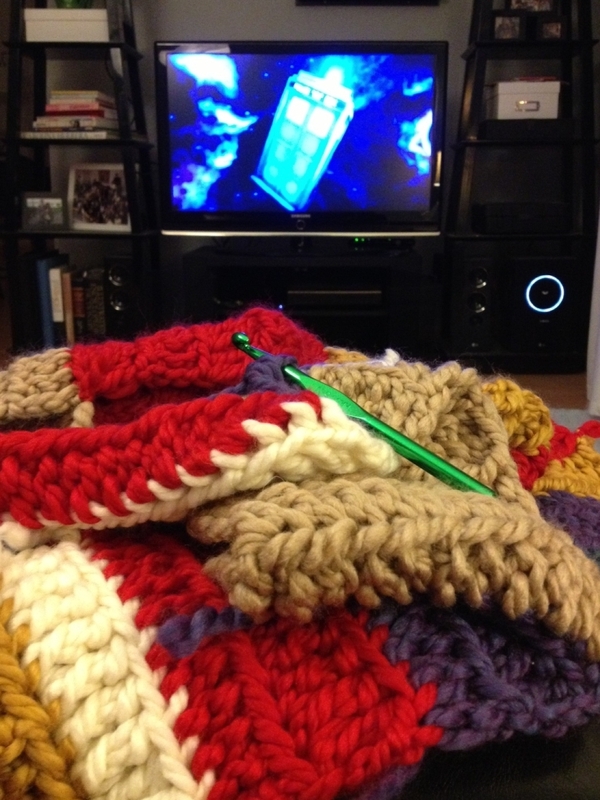 Of course I finished making the scarf while watching Doctor Who. Just a couple more pictures I have to share of my insanely creative coworkers. The music team as Adventure Time! 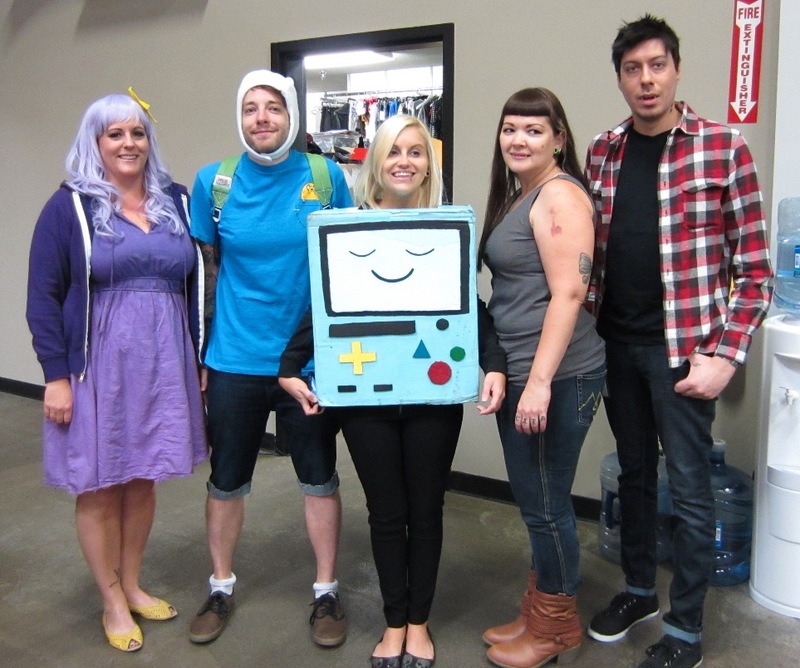 Des as Lumpy Space Princess, Mikey as Finn, Steph as BMO, Amy as Marceline, and Mike as Marshall Lee. My dear friend Chrissie as a fantasy football player. Hah! OMG!!! this halloween was a good one at HT! Des as LSP is my fave i think!! Steph was a freakin awesome statue too… i also love that Joe is in a dress. oh and fantasy football… everything was awesome! I wish I knew what all of this was about but everything looks amazing!! OMG are the statues real people too?? Yes, it’s one girl I just photoshopped her in twice. She won the costume contest at work!